Thank you for participating in IPFS2018! Our team has worked on the organization of this symposium since May 2018. We hope all those who attended enjoyed the symposium and workshop. We had 100 delegates from 8 different countries (Bangladesh, Canada, China, Ethiopia, India, Japan, Korea and US) in this symposium, and it exceeded our wildest expectations. It truly gave us an opportunity to meet and talk to people from many quarters of world. We are proud to have organized such a good meeting and discussing place for many people. We thanks all speakers, poster presenters, and volunteers for their inputs in the symposium. Without your help, this symposium could not be successful. Also we appreciate all of the sponsors and partner assistance in hosting this event. Your help was crucial. Lastly, as the chair of organizing committee, I thank every organizing committee members for your great help. Your hard work made this symposium enjoyable and successful. 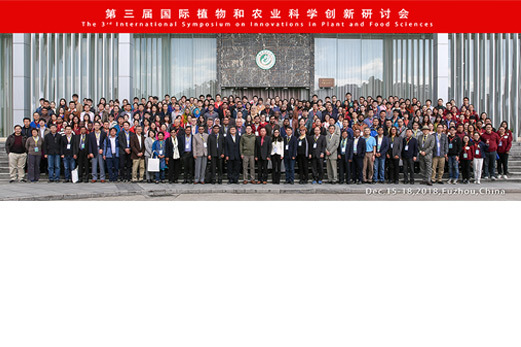 The next IPFS symposium will take place in Fujian, China in 2018. We hope to see you again! Xie Dang, Fujian Agriculture and Forestry University, China: ANGUSTIFOLIA cooperates with KTN1 to regulate concial cell shaping in Arabidopsis thalina petals. Mika Hayashi, Yamagata University,Japan: Spatial and temporal pollution development asset by a triple isotope approach inferred from treerings in Ulaanbaatar, Mongolia.